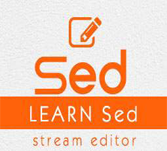 Sed is Stream Editor (Sed), one of the most prominent text –processing utilities on GNU/Linux. Like the other GNU/Linux utilities, it is stream-oriented and uses simple programming language. It is capable of solving complex processing tasks with few lines of code. Powerful utility makes GNU/Linux more interesting. How is useful to the audience? It is mainly useful for the software developer, system administrator or a GNU/Linux loving person. The basic understanding of GNU/Linux operating system and shell scripting is required.